We are the Lead School for the Bournemouth, Poole and Dorset (BPD) Teacher Training Partnership, which is a consortium of 16 schools offering initial teacher training in the secondary age range. We are accredited to deliver a full-time, one year teacher training course running from September to July. The successful completion of this training will bring with it the award of Qualified Teacher Status (QTS) and a PGCE (Postgraduate Certificate in Education) validated by the University of Winchester. If you would like to book a place on one of our open mornings, please telephone us on 01202 495708 or follow this link. Other subjects may become available in response to needs identified by schools and subject to approval by the Department of Education. The BPD Partnership also offers a School Direct (Salaried) programme where a school has identified an appropriate need and trainee. Other schools are welcome to join the Partnership. We are also able to support Primary Teacher Training. If you are interested in finding out more about our ITT provision please contact Roger Lister, the Programme Director, at scitt@twynhamschool.com. 7 weeks are spent on central and university-based training. Central training is divided between Professional Studies (PS) and Subject Pedagogy (SP). The PS programme considers themes which apply across all subjects, such as behaviour management, assessment, SEN and pastoral work. The SP programme focuses on specific issues relating to the teaching of the subject in schools. During the school placements, teaching experience commences with observation and builds gradually to a maximum of a 40% teaching commitment by Christmas. In the “Main School” this commitment will increase to around 60% of a full timetable. 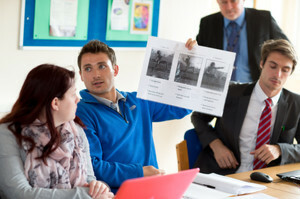 Assessment for the award of QTS is based on the Teachers’ Standards. Formal assessment takes place at key points throughout the year. In addition to classroom observation this includes scrutiny of the trainee’s professional development portfolio (PDP) which records the trainee’s progress and is kept as an e-portfolio. Assessment for the award of PGCE requires, in addition to the QTS assessment, the completion of written academic assignments on both subject and general professional topics. Each subject also has a Lead Subject Tutor who, in addition to supporting Subject Tutors in their work, is responsible for the delivery of the SP programme and for the final assessment of trainees. Within each school there is also a Professional Tutor, who is a senior member of staff, often a Deputy or Assistant Head, who is responsible for supporting all trainees within the school. Further support is provided by the Director, who acts as Partnership Manager, and by specialist support from university-based Curriculum Tutors. Further information is available from the Partnership Office on 01202 495708 or by email: scitt@twynhamschool.com. Finance Training bursaries are available in most subjects and are differentiated according to degree class and subject applied for. The following table summarises the training bursaries for 2016; an announcement on bursaries for 2017 is expected in October 2016. Please note that for PE, Art & Design, Dance, and other subjects not mentioned above, no bursary is available. Mathematics trainees may receive an early career bonus payment of up t £10,000 provided they gain a teaching post in a maintained school and remain in teaching for at least 3 years. Tuition fees are set at £9000. Home and EU students may be eligible for a tuition fee loan to cover the cost of tuition fees charged. This is available through Student Finance England. For further information on financial and other matters, please contact the SCITT Partnership Office on 01202495708 or by email: scitt@twynhamschool.com. An honours degree at 2.2 or above, the subject content of which must meet the requirements of the chosen subject specialism. At least GCSE grade C in English and Maths, or acceptable recognised equivalent. In addition, we look for some practical experience with young people in the 11-18 age range. Further information on entry requirements may be found on the UCAS Teacher Training application system. All applications must be made through the UCAS Teacher Training system. Applications open in mid-October and may be made at any time throughout the year. Upon receipt of applications, the Partnership will consider each candidate against the entry requirements and those shortlisted will be invited to interview. Interviews will take place at a Lead School for the subject and will normally include interaction with pupils, a subject interview and a more formal panel interview. Further information is available from the Partnership Office on 01202 495708 or by email: scitt@twynhamschool.com. Open Mornings for Teacher Training Applicants will be held at Twynham School, Christchurch from 9.30 am – 12.00 pm on Tuesday 6th November, Monday 19th November, Wednesday 5th December, Thursday 13th December, Monday 14th January 2019, Friday 1st February 2019, Wednesday 13th February 2019, Tuesday 5th March 2019, and Thursday 28th March 2019.